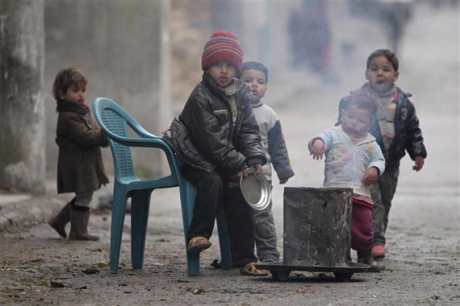 Home » Justice & Economics » Save the Lives of Syrian Victims of War! Isaiah 58:10 says: “if you spend yourselves in behalf of the hungry and satisfy the needs of the oppressed, then your light will rise in the darkness, and your night will become like the noonday.” We got a beautiful oppurtunity here to express solidarity and love to suffering, hurted people. Please give a generous gift to World Vision or Christian Aid, and ask others to do the same. We cannot miss the oppurtunity to save some precious lives. By Micael Grenholm in Justice & Economics, Peace & Politics on January 10, 2013 . What a relief. Finally, some spirit-filled revivalists who fight for the cause of social injustice. You don’t find too many charismatics who are as passionate about helping the poor/oppressed as they are about getting a new car. At least here in America. You’ve given me hope that I’m not alone! Thank you so much Katrina for your encouragement! No, you are definitely not alone. People like me, Drew Gordon Meakin, Bob Ekblad and Heidi Baker; people from Iris Ministries, Jesus Army and Pentecostals and Charismatics for Peace and Justice – we’re all having this vision and it is a pleassure for me to connect the dots between all these people at this blog. I’m so glad that you also identify with this vision. If it is OK with you I would love to publish a guest post by you about your thoughts concerning the combination of signs and wonders with peace and justice.